In the hectic pace of life, one looks forward to a soothing "Peace of Mind", which means "MANOSHANTI". 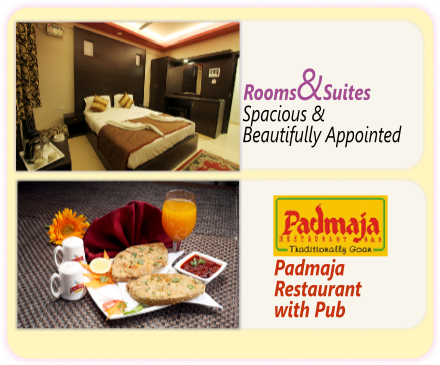 Our guests can look forward to a comfortable stay here, since “MANOSHANTI” is the second name of hospitality. Centrally located in Panjim, the capital city of Goa “Hotel MANOSHANTI” offers a cozy service with its 30 – rooms A/C & Non A/c, Banquet Hall, Gym, Padmaja Restaurant with Pub, Catering delicious Vegetarian and Non-Vegetarian food traditionally Goan and so on and on ….